The preliminary round of 2018/2019 CAF Champions League concluded with the second leg matches on Tuesday and Wednesday. Seventeen sides emerged as aggregate winners and will now join the nine seeds in the first round that kicks off on the weekend of 14th December. As expected the initial stage of Africa’s premium interclub knockout tournament provided sparks with a few surprises spicing it up. Giants like South Africa’s Mamelodi Sundowns, ASEC Mimosas of Ivory Coast and Ismaily of Egypt made it to the next round with relative ease and are expected to reach the later stages. The most surprising result came from Brazzaville where Congo Premier League champions AS Otoho D’Oyo bundled out seasonal campaigners Premier de Agosto of Angola. Otoho beat the Angolan heavyweights 2-0 in the reverse tie played last night at home to advance 4-4 on aggregate, having lost on the same margin last week. 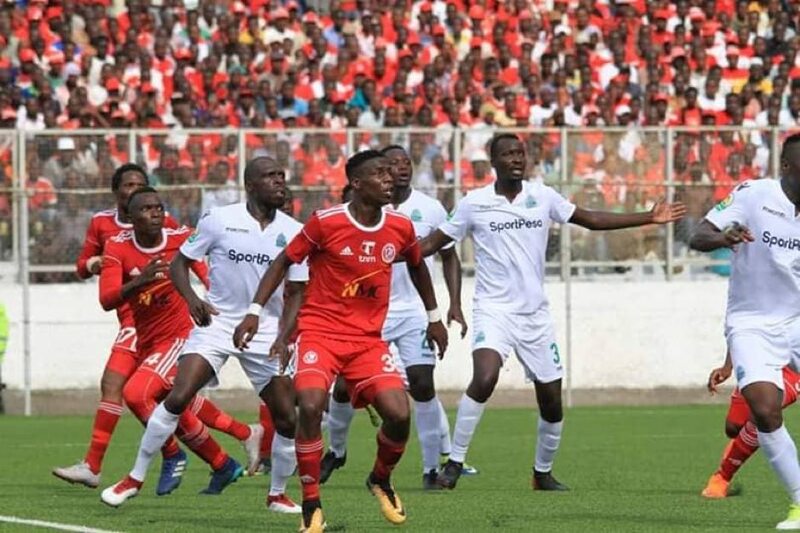 Simba SC of Tanzania whitewashed one of the next round favorites Eswatini’s Mbabane Swallows 8-1 on aggregate, which is one of the biggest wins of the preliminary first round. Swallows have had a marvelous flight in the continental tournaments, which had seen them reach two successive group stages of the CAF Confederation Cup and CAF Champions League. Elsewhere, Leones Vegetarianos of Equatorial Guinea’s dreams of making it to the next round came to an end, after losing 5-1 to one-time champions Mamelodi Sundowns; the first leg ended 2-0 in favor of visitors. One of the best-known sides in Africa Zesco United of Zambia made easy work of their preliminary round tie winning it 5-1 on aggregate against AS Sonidep of Niger. In the return leg played in Ndola, the home side registered a 3-0 victory to add on a 2-1 scorline they managed in Niamey. Gor Mahia, who are one of the biggest sides in East Africa, needed a penalty shootout to progress following a 1-0 loss on Wednesday in the second leg in Blantyre. The Kenya side beat Nyasa Big Bullets of Malawi 5-4 on aggregate after a dramatic encounter staged at the Kamuzu Stadium. In the first-leg, Gor had won 1-0 at home. North African sides continued with their dominance in the continental football as Ismaily of Egypt easily cruised to the next round after beating Burundian outfit Le Massager 3-1 on aggregate. Club Africain of Tunisia also rallied round to defeat a determined APR of Rwanda on the same 3-1 margin. The first leg of the encounter ended in a goalless draw in Kigali. A good number of teams ensured their matches were live on television or online through live streaming a development that was very rare a few years back at this stage. ASEC Mimosas, for example, stood out in quality production giving African football fans across the globe opportunity to enjoy their match against Gabon’s Mangasport both home and away. The round of 32 aggregate winners will progress to the lucrative group stage of the competition, where 16 teams will compete in four groups of four each. Losers will be paired against CAF Confederations Cup first round winners in a draw for a slot in the second tier competition’s group stage. The top two teams in each of CAF Champions group will progress to the quarterfinal knockout stages, while the bottom two teams, although being eliminated, will receive US$550 000 each. The losing quarter-finalists will receive US$650,000 each and the losing semi-finalists, US$800 000 each. The champions will receive US$2.5 million and the runners-up US$1.5 million.